Atlanta (CNN) - Mitt Romney has insisted that he will only release two years of his personal income taxes. But while candidates running for president are not legally obligated to release their taxes, there is a long tradition of doing so, in addition to public financial disclosure laws candidates must follow. On Friday, Romney stated that his 2010 and, when complete, his 2011 taxes will be all that he makes public. He already released a 2011 estimate of taxes when he filed an extension with the Internal Revenue Service. He told CNN in an interview that the two years are "what we're going to put out…those are the two years that people are going to have." Experts, however, say the attempt at privacy may be futile. Joseph Thorndike, Director of the Tax History Project at Tax Analysts, said in today's political environment "these guys don't have any privacy in any sphere" and that "getting hung up in tax privacy seems a little anachronistic". Thorndike traced the roots of presidential candidates releasing tax returns back to President Nixon's famed "Checkers" speech in 1952, where in an attempt to clear his name over controversy surrounding his finances, he spoke about his Cocker Spaniel "Checkers." As the vice presidential candidate for Dwight Eisenhower, Nixon baited the candidates running against him, Democratic presidential nominee Adlai Stevenson and runningmate Sen. John Sparkman, to release their financial information by saying Americans wanted a president who had the "confidence" of all people. Ironically, Stevenson and Sparkman complied, releasing several years of returns while Nixon never followed through with releasing his own. He and Eisenhower went on to win the election, and Nixon released four years of tax returns later while in office after facing additional questions over his finances. Presidential candidates began releasing their returns consistently starting in the early 1970's according to Thorndike, and in 1978, all presidential and vice presidential candidates were required to release certain financial documents as a result of the Ethics in Government Act of 1978, which mandates all candidates running for office of President of the United States to file a Public Financial Disclosure Report with the Federal Election Commission. How does Romney measure up to financial transparency exercised by candidates in years past? According to Rob Kelner, the chair of the Election and Political Law Practice Group for Covington and Burling LLP, "there's no hard and fast rule on how they're released," but the idea of releasing even a summary of a tax return is traditionally expected. The Tax History Project has compiled a list of many sitting presidents and candidates tax returns, and noted an eye-popping 25 years of Franklin Delano Roosevelt's tax returns were made public. However this came after FDR left office, when his family elected to release them. The Los Angeles Times noted in 1964 that eventual Vice President Hubert Humphrey reported a net worth of $171,396 and was the "least wealthy" of the four top candidates in the running. His running mate President Lyndon Johnson was the wealthiest. Johnson was the only one out of four candidates who provided no net worth, only partial financials. Romney's father, George Romney, who made a failed bid for president as a Republican candidate in 1968, released 12 years of tax returns. Senator George McGovern, the Democrat candidate who lost to incumbent Republican President Richard Nixon in 1972, had a net worth of approximately $300,000 according to the New York Times, but the article, written in August 1972, noted that neither McGovern nor Nixon had provided a "detailed audited statement such as one made by former President Johnson", though both had released "general financial statements to the public". As a Democratic presidential candidate Jimmy Carter released just one year of returns for the year 1975, while sitting President Gerald Ford had released summaries of the previous 10 years, according to the Washington Post. Nine years of Ford's tax returns now live on the Gerald R. Ford Library website, and one partial year. In 1980, former President Ronald Reagan released one year of records. Former Democratic presidential nominee John Kerry released 20 years of tax returns when he ran against George W. Bush in 2004, however his independently wealthy wife Teresa Heinz Kerry only released a portion of her 2003 returns after mounting pressure. Sen. John McCain released two years when he ran for office in 2008, but his wife Cindy, who files separately, released partial returns. President Barack Obama has released 12 years of tax returns. Kelner says financial and ethical disclosure requirements for candidates have "become so excessive, it really is discouraging good people from running for office." The candidates not only face the pressure as individuals, they are now forced to think about their families and others, which Kelner says is "very intrusive, something they all have to weigh." - CNN's Devon Sayers and Caitlin Stark contributed to this report. As if things weren't going bad enough for willard. Now, one of his biggest donors (Adelson) is under investigation for corruption in his casino deals in CHINA. No wonder he wants romney to win the White House. A preseidential pardon from willard is a small gift to give someone who promises to give your campaign "limitless" amounts of money. LOL. Romney had better RUN away from this guy and give back all of his campaign donations! 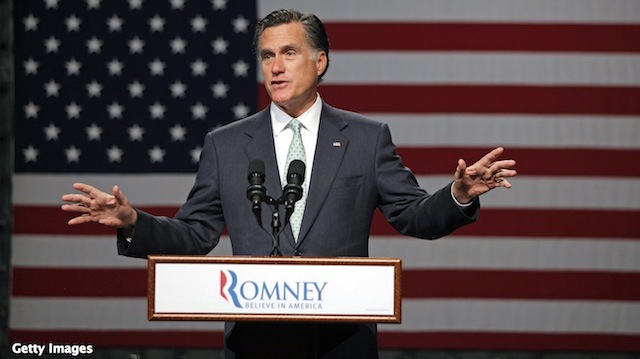 If the law was to show at least 10 years of tax returns, Mitt Romney would not be running for president. This is how i see it. If you have nothing to hide, why not show it? And if you do have something to hide, it's got to be something bad. Who hides good things? Romney was a bully in prep school; a draft dodger during Vietnam, outsourcer at Baine; a hypocrit over bailouts at the winter olympics; a press dodger running for office, and now a tax dodger. Put it all together and you get a coward. So the man has been successful, thats want we WANT in the white house, not some two bit muslim schlep with a hidden agenda! At least Romney is complying with what is required. Obama had to have some make him a fake birth certificate to get into the white house. America is so over this lazy vacationing golf playing president. I wonder how much of his personal political vacations we have paid for in taxes. I am sick of giving his lack of leadership part of my paycheck every two weeks. It's painfully obvious (except to dense right-wingers) that Willard Romney the serial liar has something to hide. Just another nail in the coffin of his hopeless Presidential bid. Mitt (Elect me first then I will tell you everything) Romney. Yes, Presidential candidates have always released their tax returns to show they are honest, where their money comes from, and who they are associated with so we know who they really are in terms of character, integrity, and honor. Romney will not release his tax returns because he has a lot to hide. No one cares how much money he has – but where it came from, where it is all hidden around the world, who he is invested with, who he owes favors to, and how tied to corrupt corporations and industries he is. Romney is obviously lying to the People, hiding his wealth where he knows the People will find corrupt and unacceptable. Romney is invested in himself and in other countries – not the U.S. and not the best interests of the American People. He will not win the Presidency. We will keep our true President of the People. Release them all, unless you have something to hide. When Romney said "what we're going to put out…those are the two years that people are going to have. ", he basically referred to the whole country, not just Democrats. That did not sound smart. What is Romney's problem? Does it show that he supported liberal causes? That would be good laugh. Mitt Romney's Father released ten years of tax returns , why won't Mitt ? He must have a car load of accountants , he can always blame one of them for any irregularities in accounting. Who will be the fall guy is the question ? The best advice I have heard is from Republican strategists who say that if he is elected, he'll have to release them and that would be even worse than releasing them in October 2012. He should release them NOW, take the heat or better, find something on Obama to distract the public, and by September, no one will care. Being so freaking stubborn to the point of idiocy is not what people want in a CIC. Romney: GOP's not 'party of the rich,' but 'of those who want to be rich. That says it all about the man ! Money talks and poop walks .What if one just want to have a sustanible happy stable life with peace of mind ? If your whole point is attaining so much wealth and power , it must be hard to smell the roases unless you own the whole garden. As a nation so fired up with personal privacy laws and basic individual freedom. personally, I am fed up with this nonsense. the IRS has accepted his past tax returns that enough fo me unless they come out and say he is under investigation.=, when they better have a damn good reason, to justify at least one clear Evasion.. avoidance within the law is legal evasion not. We are not asking 12 years, 10 years enough, mitt needs to show to public. 2 years, not enough because he was already running for POTUSofA lat time, so he manipulates. Why not you show 10 years taxes?? ?